Natural curiosity entices many people to wonder, "Who's been viewing my profile?" each day on LinkedIn. 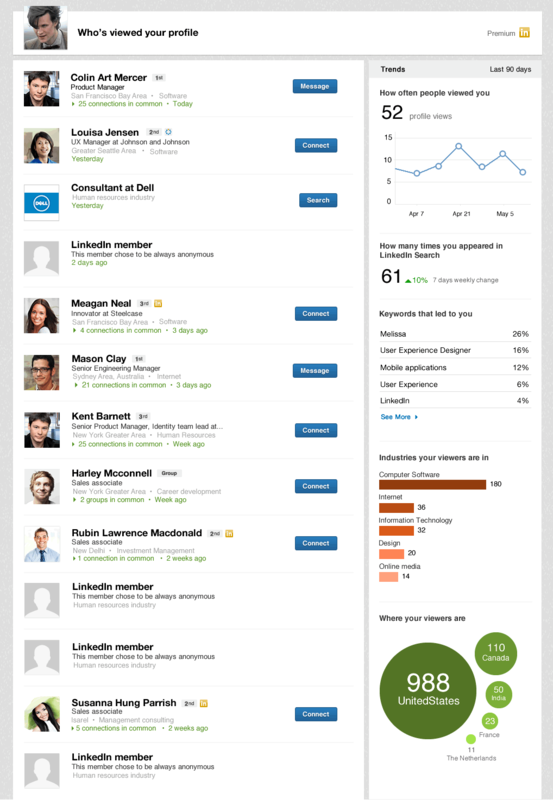 Today, we’re rolling out a new, simplified look and feel for Who’s Viewed Your Profile to make it easier for you to get a snapshot of who, what, and how you are being discovered on LinkedIn. For our premium members, you will have access to insights from the previous 90 days to help you learn more about how professionals are finding you through top search keywords and which industries or geographies those searches come from. In addition, you will now have the ability to filter search results by weeks, making it easier than ever to identify key trends and changes that will enable you to align your professional brand with your professional goals. We will begin rolling this new look out to members around the world today and hope you enjoy the new experience. 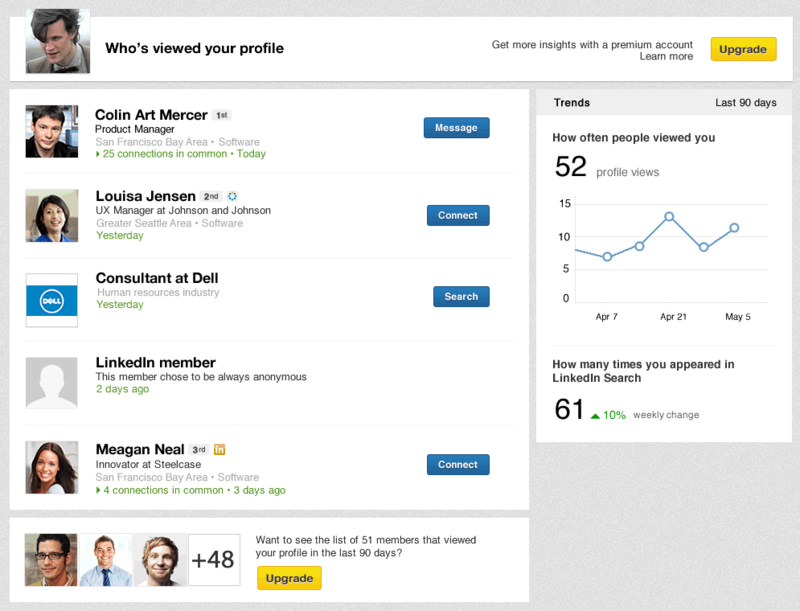 Please stay tuned as we look to bring you deeper, more actionable data-rich insights from Who's Viewed Your Profile.